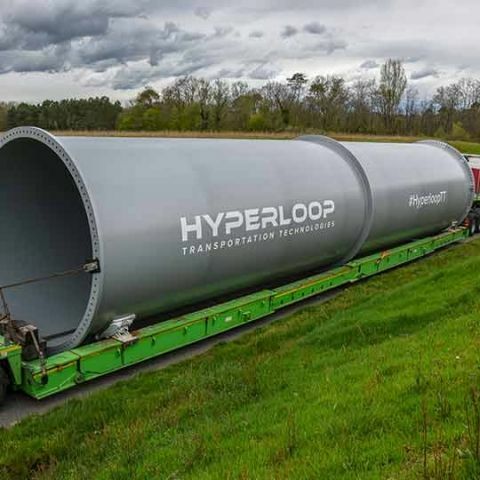 Hyperloop Transportation Technologies (HTT) is planning the hyperloop transport system in three phases including a future corridor connecting Anantapur-Amaravati-Vijayawada and Visakhapatnam. The Hyperloop Transportation Technologies (HTT) team presented their pre-feasibility study to showcase the possible routes for India's first hyperloop system. 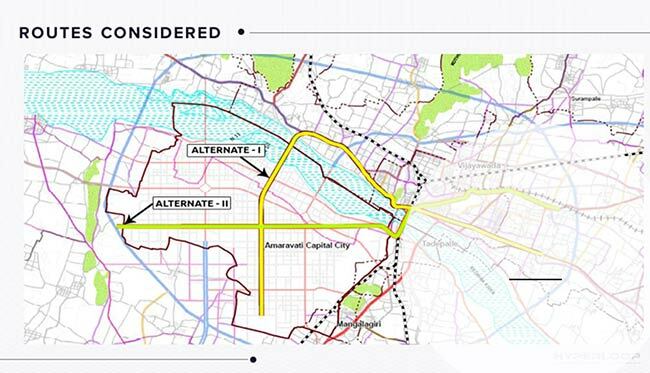 HTT has proposed two alternative routes between Amaravati and Vijayawada. This route will be part of the entire project comprising of three phases where the previously mentioned route will make up phase I and II. The third future phase will comprise a corridor connecting Anantapur-Amaravati-Vijayawada and Visakhapatnam. Hyperloop Transportation Technologies presented the pre-feasibility route study to a packed audience from the state Capital Region Development Authority (APCRDA) and other nodal state departments today. The meeting was attended by senior government officials including, Shri. Ajay Jain, Principal Secretary, Energy Infrastructure and Investment Department, Shri. J Krishna Kishore, CEO, Andhra Pradesh Economic Development Board, Dr. Sreedhar Cherukuri, Commissioner, Capital Region Development Authority, Shri. N Balasubramanyam, Transport Commissioner amongst others. The HyperloopTT team was represented by Mr. Bibop Gresta, Chairman & Co-founder, HyperloopTT, Mr. Joel Michael, India Head, HyperloopTT and Dr.Sabih Khisaf, Head of Engineering (Middle East & North Africa), Hyperloop TT. HyperloopTT has associated with Aarvee Associates of Hyderabad to prepare the pre-feasibility and feasibility studies. HyperloopTT has proposed setting up the Hyperloop Transportation system connecting Anantapura-Amaravati-Vijayawada and Visakhapatnam as part of (around 700-800 kilometre) integrated Public Transit system. The entire project is conceived to be implemented in 3 phases. In Phase I&II, a commercial Hyperloop System between Amaravati and Vijayawada will be built. 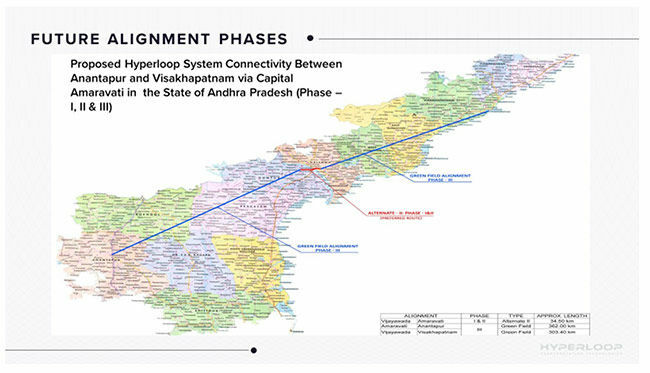 In Phase III, a commercial Hyperloop System covering either northern or southern section of the vision corridor connecting Anantapur-Amaravati-Vijayawada and Visakhapatnam will be built. 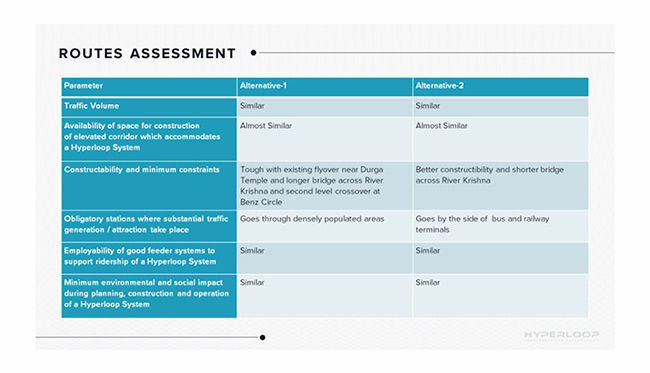 However, Phase II & III are interchangeable and can be implemented at the same time. The Phase I alignment will be located in either Amaravati or in Vijayawada city running East-West on a 5-10km straight section to showcase the benefits of the system to the stakeholders and the general public. HTT has also proposed setting up a manufacturing complex that will focus on several aspects of the Hyperloop TT project, such as; building the Tube, capsule, the track and 3D printing. two Vertical Pink color line in laptop display?